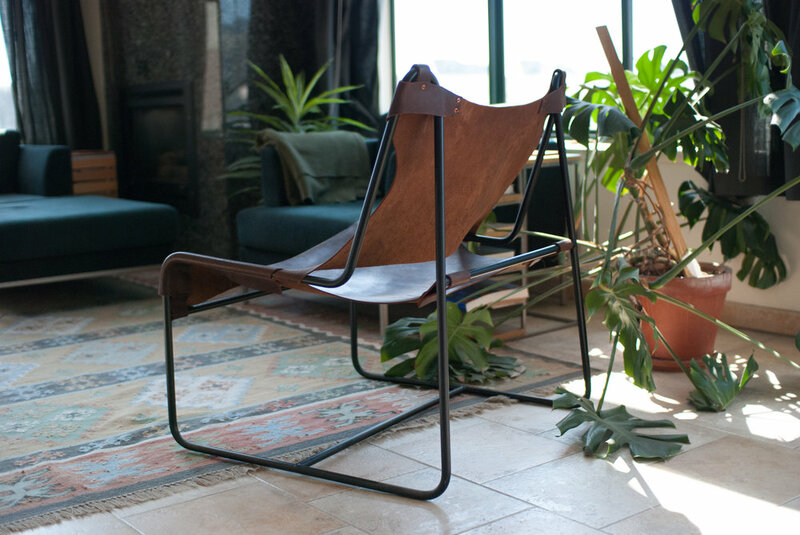 This tube steel and slung leather lounge chair was inspired by the curves of desert sand dunes. The angle of repose is the steepest angle at which a granular material can be piled without slumping. It is the physical law that defines the undulating purity of sand dunes, and what encourages occupants of this lounge chair to sink into its supporting curves until they reach their own angle of repose. I'm currently developing a final version of the Repose Lounge for the ShowPDX 2018 design competition. 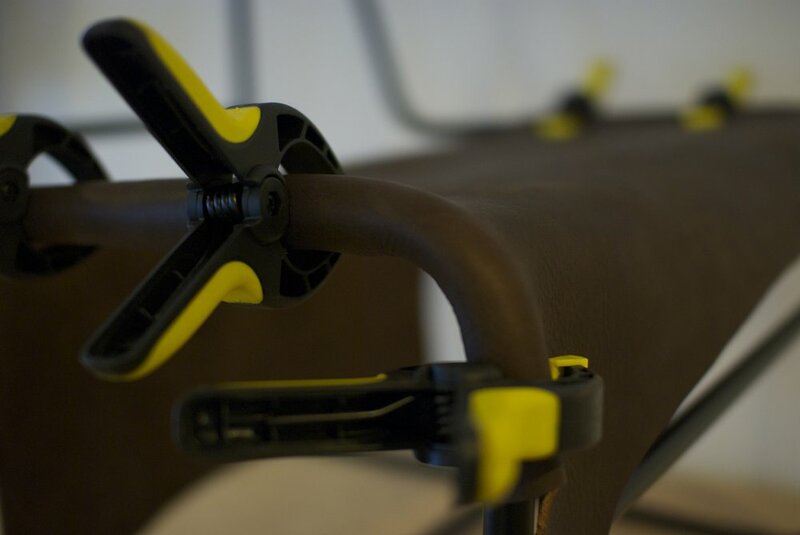 The independent back panel gives it lumbar support rarely possible in slung leather chairs. 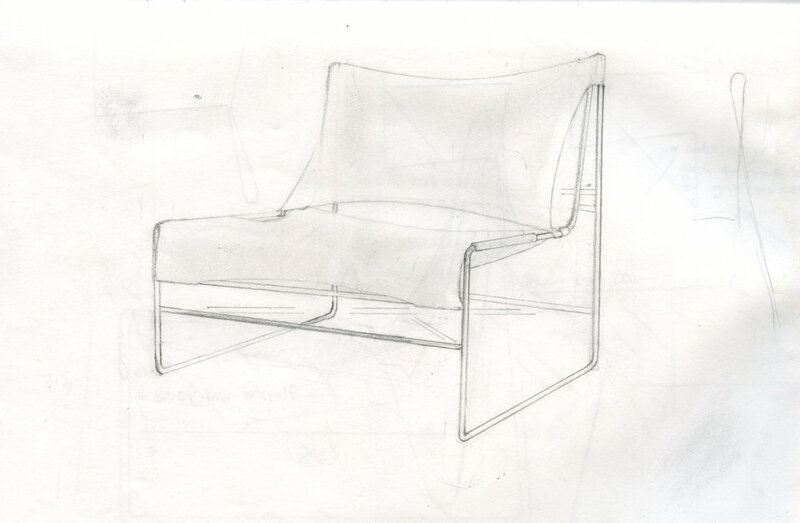 The final version will be built off the far right frame and include an ottoman and hand perforated leather.